In the heart of Daytona, Ocean Walk is a 5 star resort, located on the boardwalk, with new unit updates and free garage parking. This 2 bedroom, 2 bath condo is beachfront with a balcony. It has a full kitchen, living room, dining area, and washer/dryer. Ocean walk has 2 indoor pools, 3 outdoor pools (including children's pool), a lazy river, and 3 hot tubs. They have an outdoor bar, activities program, indoor mini golf, a game room, a computer room, and movie rental. Towels and linens are provided. Sleeper sofa in living room. Master bedroom has a king bed with attached bath including whirlpool tub, separate shower, and double vanity. Second bedroom has two full beds. 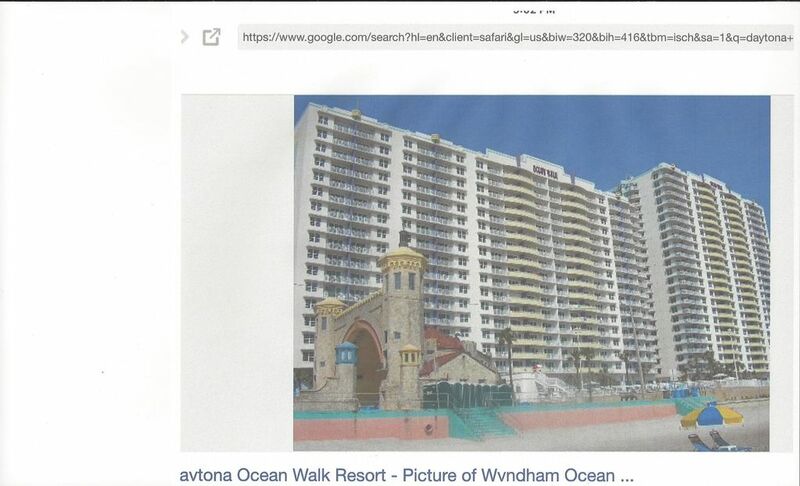 Ocean Walk is next to the Ocean Walk Shoppes which has a 10 plex movie theater, restaurants, and shopping. A water park, night clubs, and more shopping and restaurants are within walking distance. computer room, game room, free WIFI, free parking garage (one vehicle per unit) with additional parking at $10 per day, Next door - Ocean Walk shoppes with eateries and movie theaters. Boardwalk begins at Ocean Walk and goes to the Main Street Pier. Only one parking place per unit. No refunds.